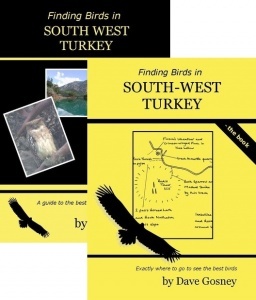 Join birdwatcher Dave Gosney on a tour of the coastline of South-west Turkey, visiting all the best birding sites en route before venturing into the mountains where the birding becomes even more exciting. Get to know the places and their birds and get an honest assessment of how good the sites are. Learn about the sites - see what it’s like to go birding in 18 sites and get an idea of what birds you might see and how close you could get to them. Enjoy the birds – sit back and enjoy footage of 67 species, including Brown Fish Owl, Red-fronted Serin, White-throated Robin, Rufous Bush Robin, Kruper’s Nuthatch, Olive-tree Warbler, Ruppell’s Warbler, Eastern Orphean Warbler, Eastern Olivaceous Warbler, Isabelline Wheatear and Cretzschmar’s Bunting, all filmed using high-definition digital video cameras. Helpful tips – find out more about the sites and their birds, including tips on how to find and identify the warblers and robins by their songs and which sites you really should go out of your way for. South-west Turkey is the sort of place where you can go on a family holiday and still see great birds such as White-throated Robin, Red-fronted Serin and Brown Fish Owl. ‘‘I once heard that more Brits go on holiday to Turkey than to Spain. Most of them will stay at one of the many tourist resorts around the south-west coast. 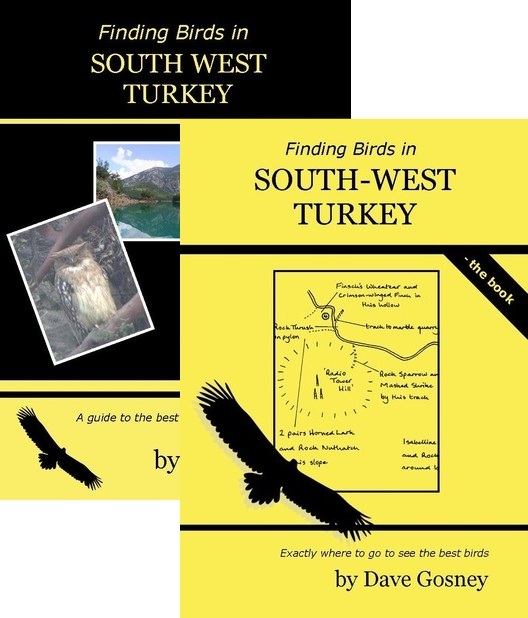 If they do, they’ll have a chance of seeing some fantastic birds and this book is designed to direct them to the best birding sites both around the resorts but also within a day’s drive inland”.